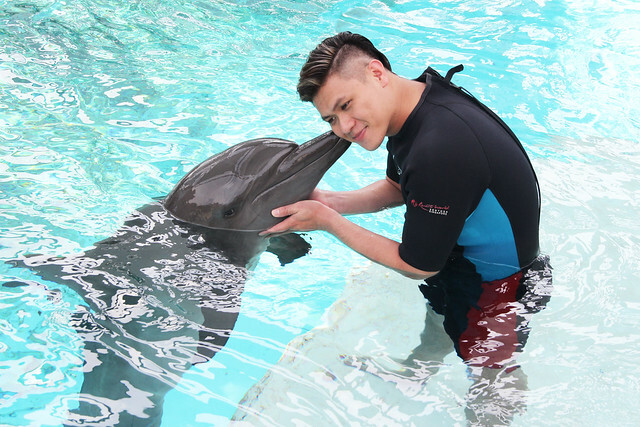 As part of bf's birthday celebration, I brought him to experience the Dolphin Discovery programme at Dolphin Island, Resorts World Sentosa! He has always been fond of diving and sea creatures, so I figured he would love it! 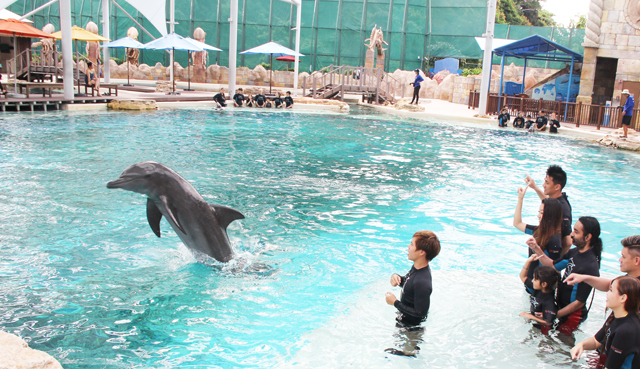 Dolphin Island is located inside Adventure Cove and there are various dolphin interaction programmes to choose from. 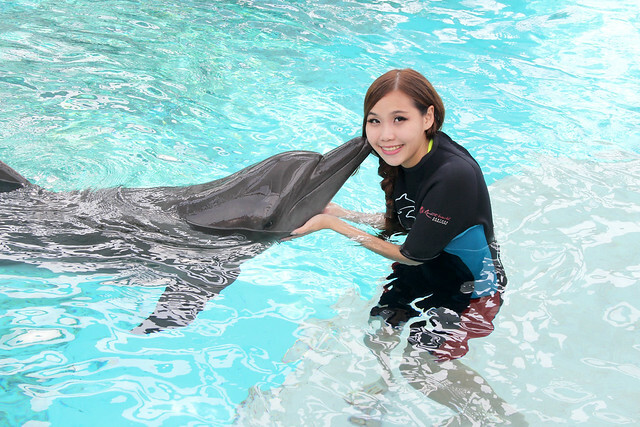 I purchased tickets for Dolphin Discovery, priced at S$98 per person inclusive of entry to the waterpark. Complimentary lockers are provided for us to keep our loose items like watches and accessories. 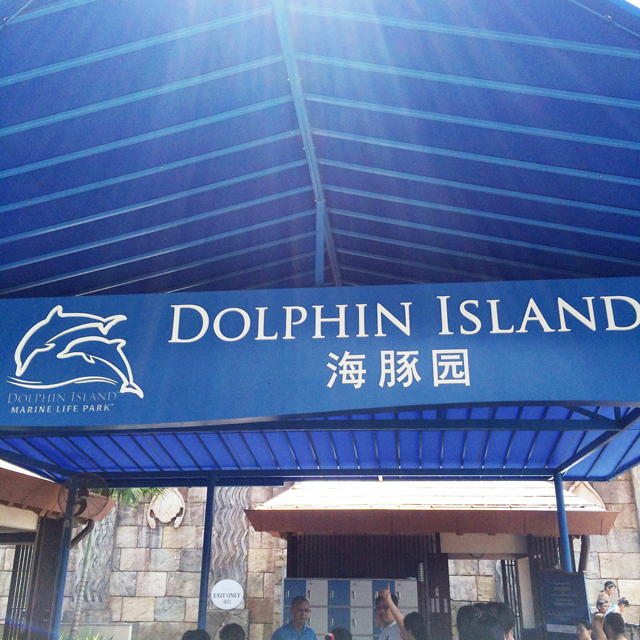 Mobile phones & cameras are also not allowed into Dolphin Island. For our session, we had 6 in the group. Wetsuits are provided, but we are required to wear our own swimwear underneath. I didn't know that we could let our hair down, so I tied a loose side braid before entering. 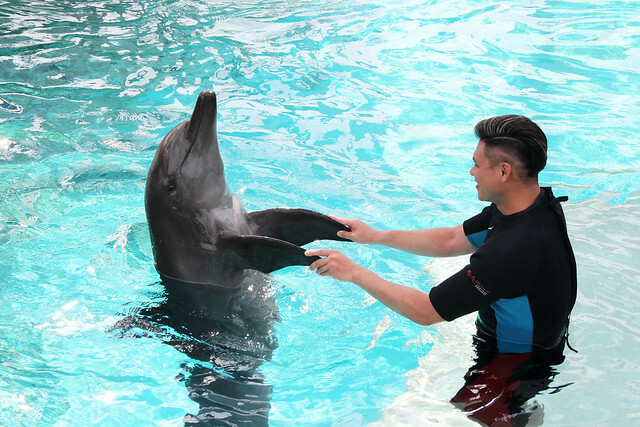 Our dolphin for the day was a male one called "Hui Hui"! 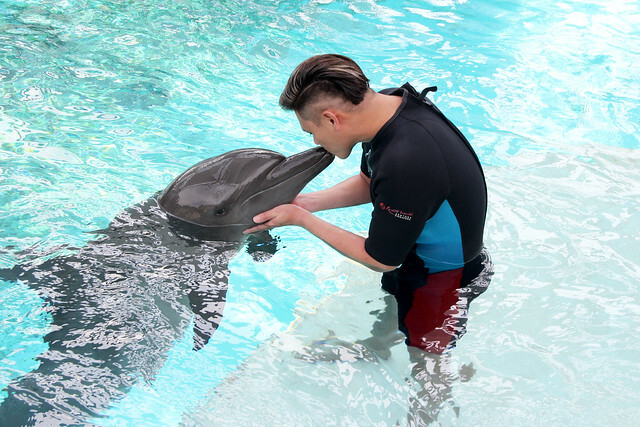 I felt an instant liking to this dolphin! 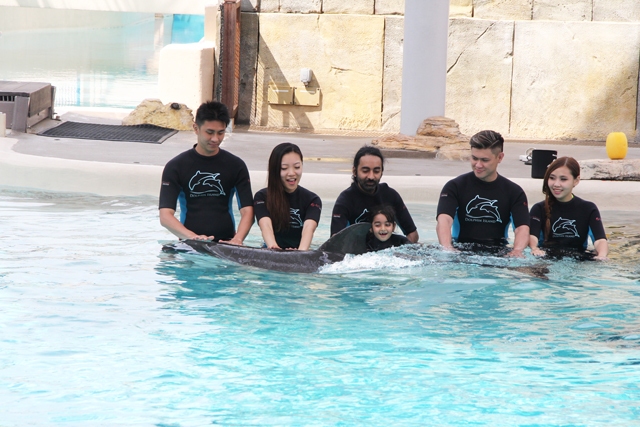 The trainer got the dolphin to show us some moves, and also allowed us to touch and feel its smooth skin! 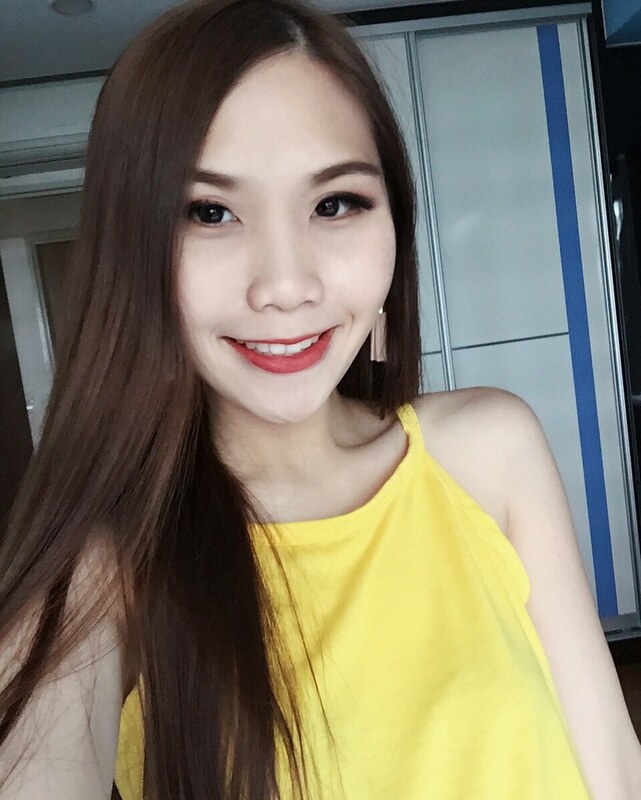 Hui Hui was super cute! Everytime he finishes a move, he would appear infront of us again with an eager look for the fish that the trainer would reward him with. 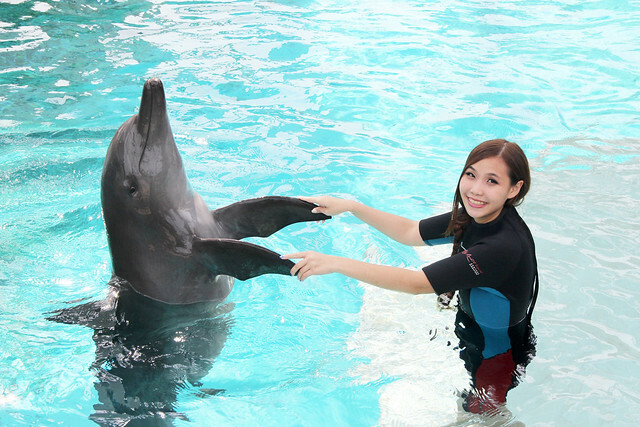 Each of us had quite a number of photo opportunities with the dolphin as well! 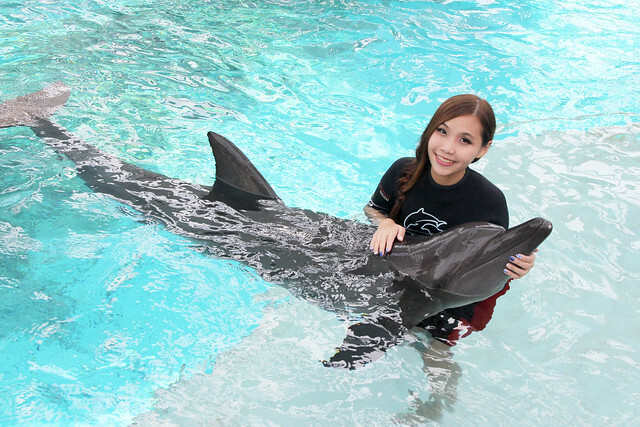 I like this photo of me with the dolphin! We had an awesome time! It was truly quite an unique experience for both of us. After the session, we were brought to a room to select and purchase photos. 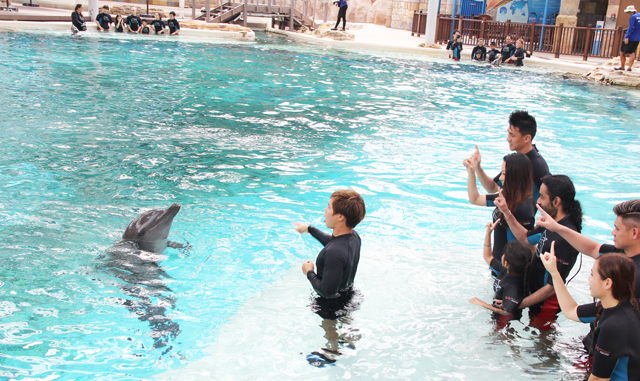 As I mentioned earlier, we weren't allowed to bring cameras into Dolphin Island, but there was an official photographer for each group so that we get to bring our memories home. Each photo in a folder is an exhorbitant $55, while two photos are priced at $75. 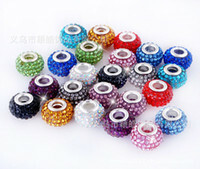 There were also other several more expensive packages from $200 and above. In the end, we decided to pay $150 for a CD package of 40 images because we wanted at least three of the photos. 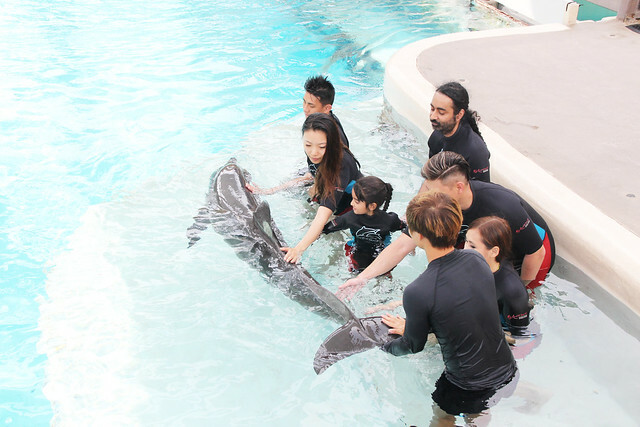 Anyway, while selecting photos at the counter, I felt quite pissed because beside us was another couple who went for the dolphin programme during another session and their official photographer took so many photos from different angles including some solo shots of the dolphins! Our photographer only took posed shots and many from the same angle. There were only 11 different photos in my CD of 40 images. The rest are repeated photos of the same thing, same angle. So actually, we paid $150 for 11 images. I was ready to accept the overpriced photos, but I felt really unhappy that we didn't get a full worth of what we were paying due to the lack of photos our photographer took. 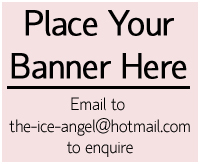 It would be great if the prices to purchase photos can be reviewed and adjusted to a more reasonable figure. 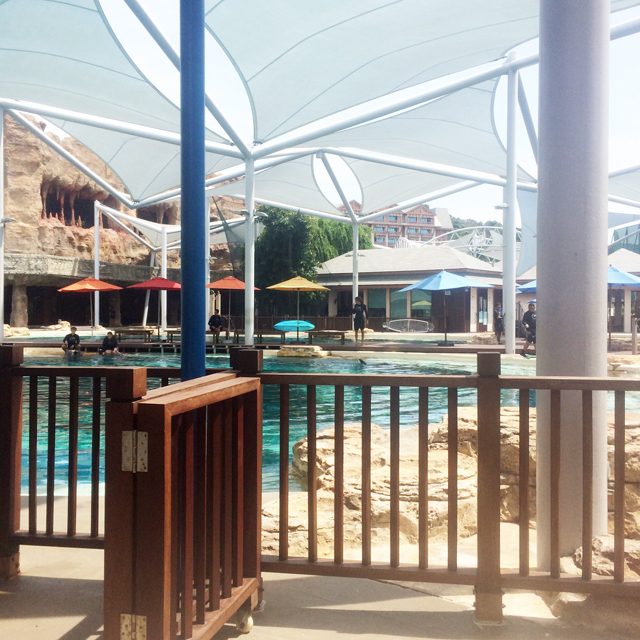 Overall, I highly recommend Dolphin Discovery!